This weekend my niece and nephew celebrated their birthdays with a bug themed birthday party. What does one wear to a bug party? A bug themed look, of course! Is anyone else impressed that my three year old niece chose a gender neutral theme? I would have thought Frozen would have been a top pick, but I guess she decided to go with less predictable. I like it; the party was was definitely beautifully buggy. 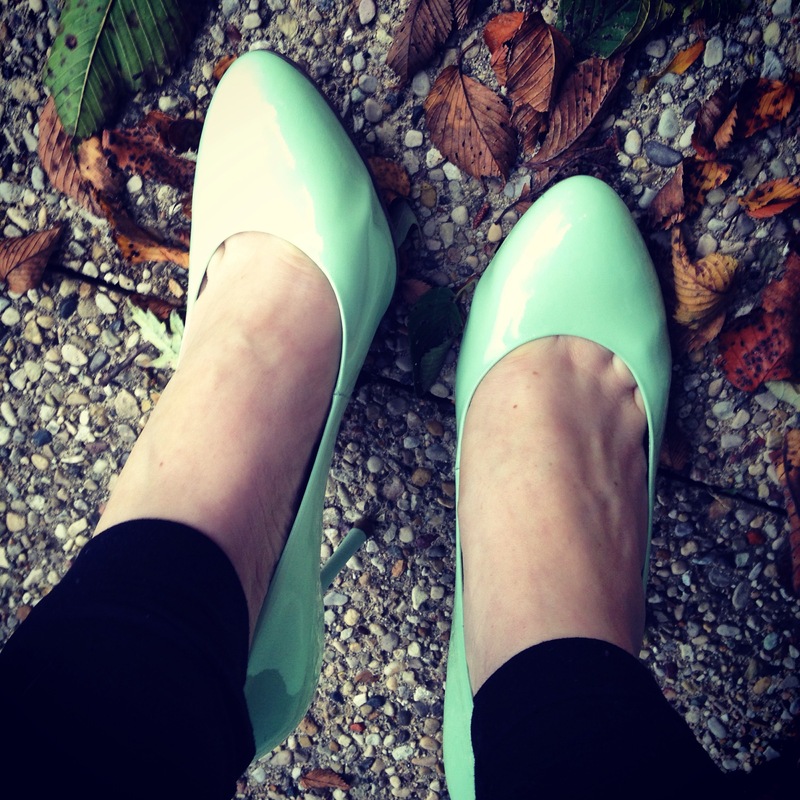 2) I think pins are an underutilized accessory in my world, and I think it’s high time to change that! 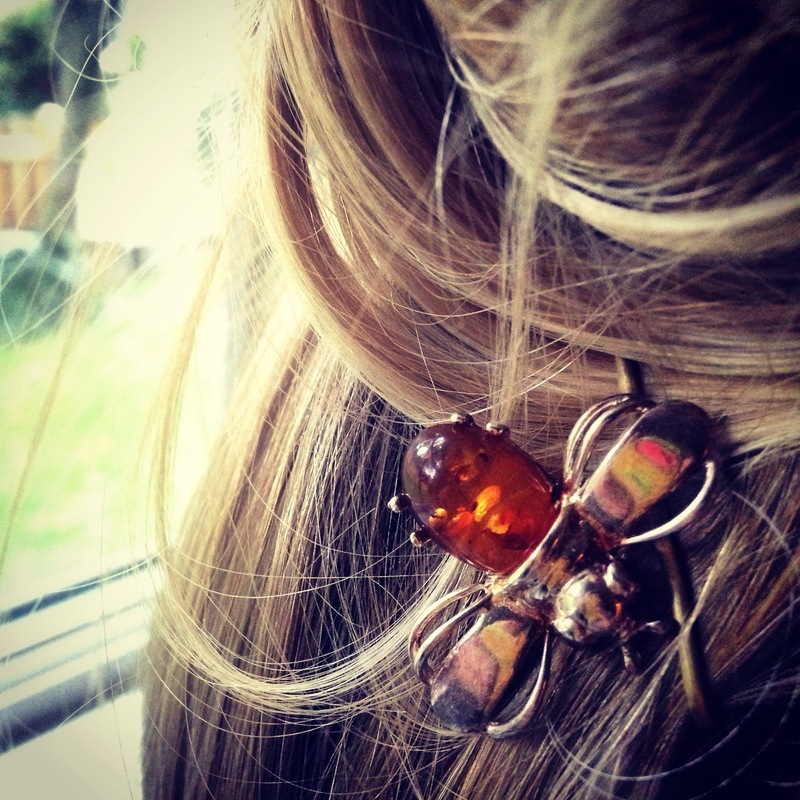 I took my messy bun up a notch by using a bobby pin to affix a bee brooch as a hair accessory. Umm, why haven’t I been doing this more frequently? Nothing says class like a hair accessory! I’ll try to incorporate more hair accessories and report back. Anyone else have brooch tips? I would love to hear them! Thanks so much for stopping by, readers! I appreciate it so much! Hope everyone had a good weekend! Love the bug dress! You’re a good aunt! Love the bug theme 😉 I have a gap bug shirt too and I love it! What a cute idea to match the bug theme! Love the cape! So cute!! How creative of your niece!! I know! It’s totally time, right!? Super cute outfit (as always) I love the mint lady bugs with the mint shoes. So adorable. Such a wonderful aunt!!!! Love the look. Right?!! Kids these days seriously are so cool :)!! Awesome! Can’t wait to see a pic!! 😊 yes. It’ll come up as soon as I figure out what to best wear it with. i love the bug theme – so creative! and how awesome that you dressed for the occasion? So cute, this is the best top I have seen in some time and that skirt has always been a fave! Just started following you and I love everything you do/wear on here. Just out of curiosity, do you take your own OOTD pics or does someone take them for you? Check out my blog when you get the chance! A follow would be extremely appreciated! 🙂 thanks so much!! My lovely officemate and friend takes about 90% of my photos; she is FABULOUS! My bf takes the other photos and is also so talented :)!! I’ll check out your blog ASAP; thanks for stopping by! Your welcome! And please do! I love the bug dress, it’s so cute and the shoes are perfect for it! Thanks, all, for the sweet comments! It was a great bug party :)!! !